Mary Norris has spent more than three decades guarding The New Yorker's grand traditions of grammar and usage. Now she brings her vast experience and sharpened pencil to help the rest of us in a charming language book as full of life as it is of practical advice. 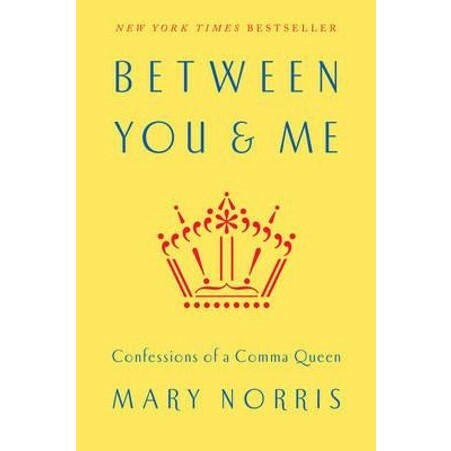 Between You & Me features Norris's laugh-out-loud exhortations about exclamation marks and emoticons, comma faults and swear words; her memorable exchanges about usage with writers such as Ian Frazier, Pauline Kael, Philip Roth and George Saunders; and her loving meditations on the most important tools of the trade. Readers and writers will find in Norris neither a scold nor a softie but a wise new friend in love with language.